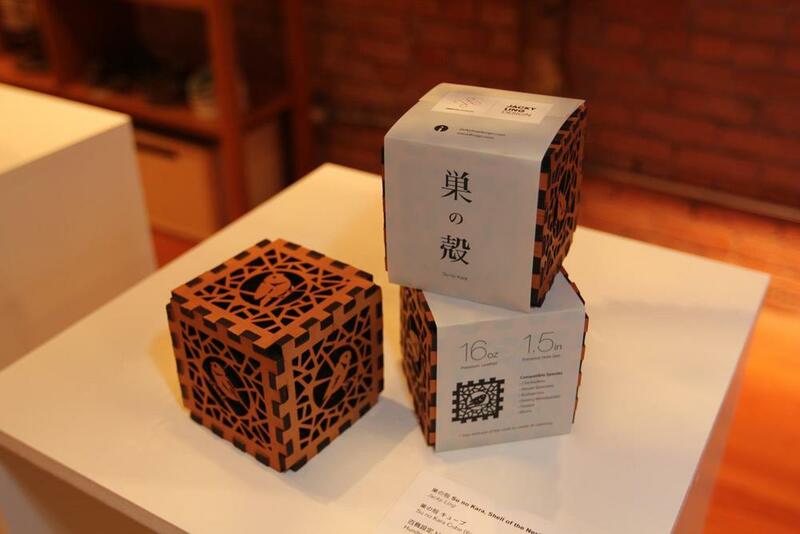 Su no Kara (巣の殻), Shell of the Nest Jacky Kaho Ling Inspired by the Asian art of paper cutting and wood joinery, 巣の殻 Su no Kara, Shell of the Nest, are sets of building blocks that form a modular unit. The perforated surfaces emanate the textures found in Asian bamboo forests. 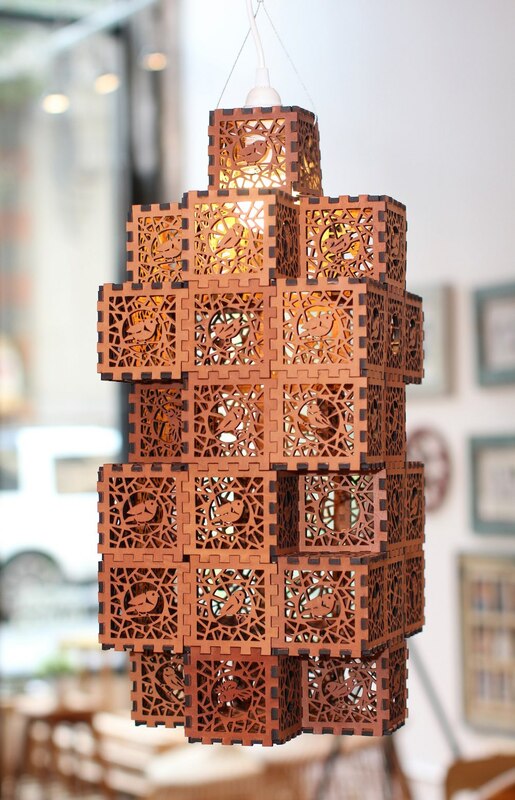 Multiple sets can be combined to expand on the different shape and size of the birdhouse, creating endless possibility.